Larry Spece Service Details - Independence, Iowa | Reiff Family Center, Inc.
— Reiff Family Center, Inc.
"Larry had a heart of gold and would help anyone who asked for his help. He will be missed." 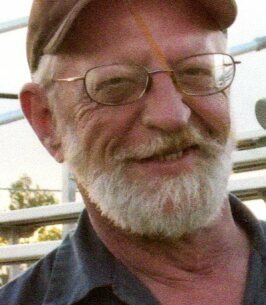 Larry D. Spece, 65, of Independence, Iowa died Monday November 12, 2018, at his home in Independence, IA. Larry was born on January 25, 1953 in Independence, IA., the son of Vernon K. and Florence D. (Masters) Spece. He attended the Independence High School and was married to Kriss Younker on December 14, 1973. The couple later divorced in 1983. On June 4, 1988 Larry was united into marriage to Penny Lynn Mazur in Independence. He was employed with the Frost Oil Company in Jesup, IA, Jensen Transport, Independence, IA, then in 1999 he became a mechanic with Pinicion Ford (Rydell Ford) of Independence, Ia. He was a member of the Buchanan County Wildlife Association, was instrumental in the ATV trails through Independence and in getting Archery adopted as a sport in the Independence Schools He loved to hunt, archery, ATV’s and classis car shows. Larry is survived by two children: Brad Spece and Laurie (Travis Butters) Spece both of Independence, IA., a step daughter Candi Curtis, Illinois, two grandchildren two step-grandchildren, and a sister; Diana (Roger) Bagg, Rowley, IA. Also surviving is his first wife Kriss (Steve) McGraw, Independence, IA. He was preceded in death by his parents, his wife Penny Spece, a brother Craig Spece, and a step grandson. .
Funeral services will be held at 11 AM Thursday in the Reiff Family Center, Independence where friends may call from 4 to 8 PM Wednesday. To send flowers to the family of Larry David Spece, please visit our Heartfelt Sympathies Store. We encourage you to share any memorable photos or stories about Larry . All tributes placed on and purchased through this memorial website will remain on in perpetuity for future generations. So very sorry to hear of larry's passing. So enjoyed him. Was always my ride to work from the dealership when needed. Enjoyed our visits. A great guy. So sorry to hear of the passing of Larry. What a wonderful legacy he leaves behind in the outstanding archery club that he helped developed. We are very grateful Keegan and others have the opportunity to learn the love and skill of archery through dedicated coaches like Larry. He will be greatly missed. I have great memories of you Larry.One in particular involving a ride in the Fairlane.All of the Milton clan is thinking of the Independence clan. Larry had a heart of gold and would help anyone who asked for his help. He will be missed. You are all in our thoughts and prayers. Larry was a great guy and my children spoke well of him as their coach in archery. My daughter stated that every archery memory she has involves him. He will definitely be missed. Kriss, Brad, Laurie & Families: Thinking of you all during this difficult time. Larry was a great guy & will be missed by so many. Sending you all hugs & many prayers to help heal your hearts in time.